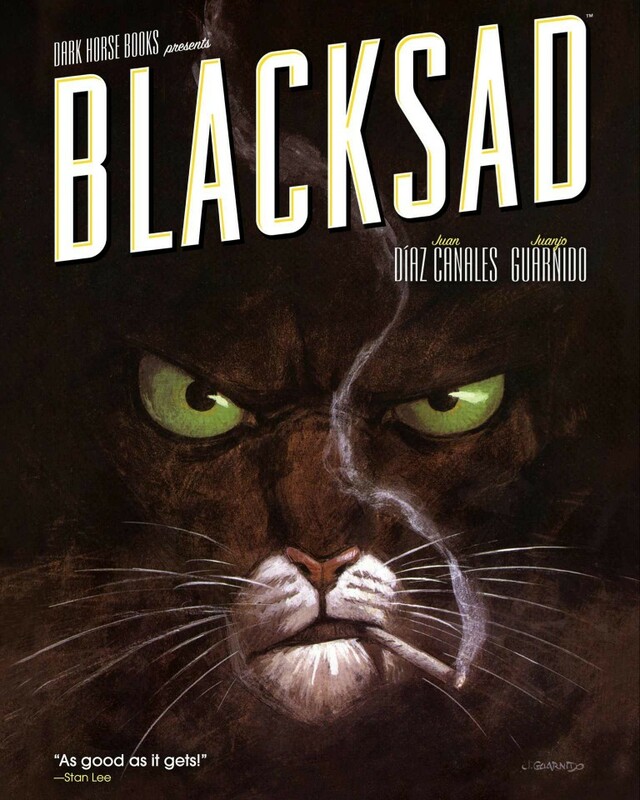 Private investigator John Blacksad is up to his feline ears in mystery, digging into the backstories behind murders, child abductions, and nuclear secrets. 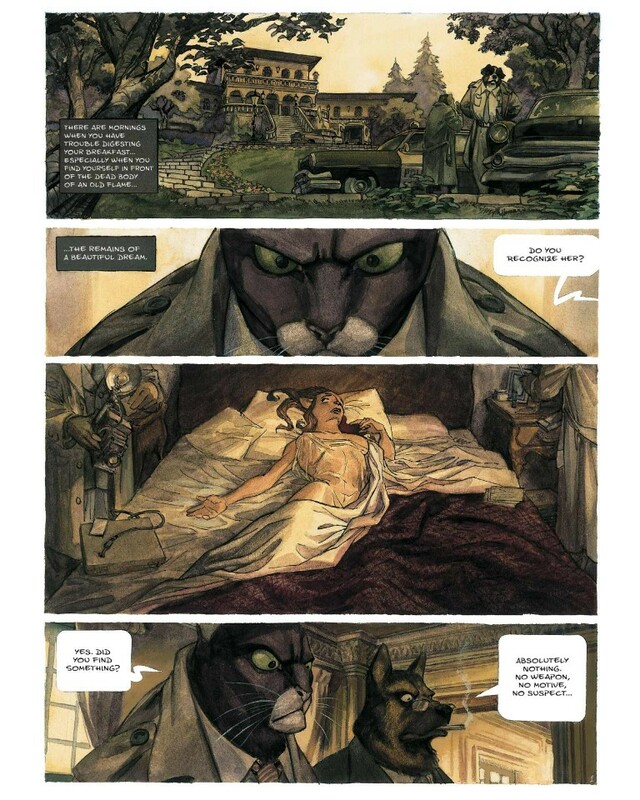 Guarnido’s sumptuously painted pages and rich cinematic style bring the world of 1950s America to vibrant life, with Canales weaving in fascinating tales of conspiracy, racial tension, and the “red scare” Communist witch hunts of the time. 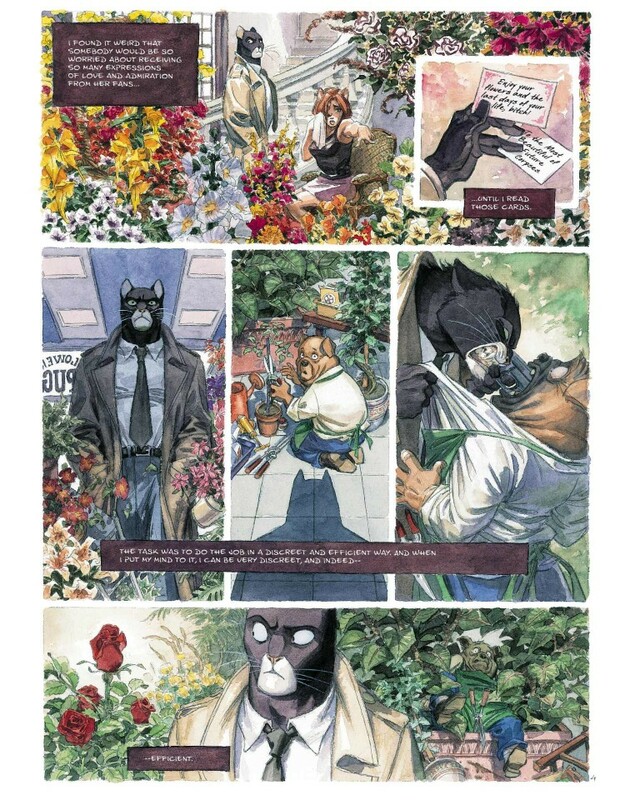 Guarnido reinvents anthropomorphism in these pages, and industry colleagues no less than Will Eisner, Jim Steranko, and Tim Sale are fans! 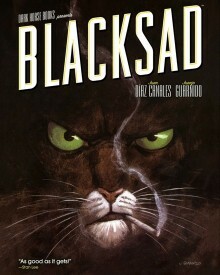 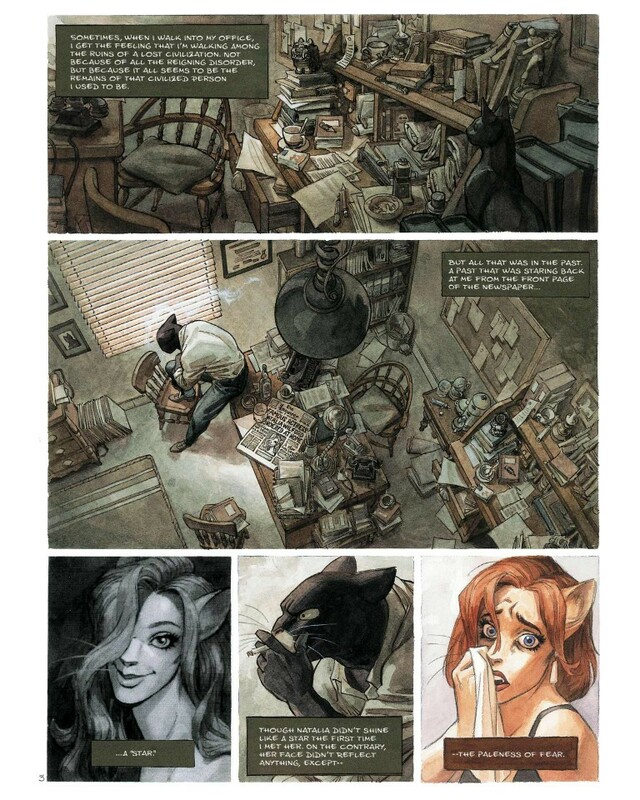 • Dark Horse is very proud to present the first three Blacksad stories in a beautiful new collection, completely relettered to the artist’s specifications and with the latest album, Red Soul, in English for the very first time. 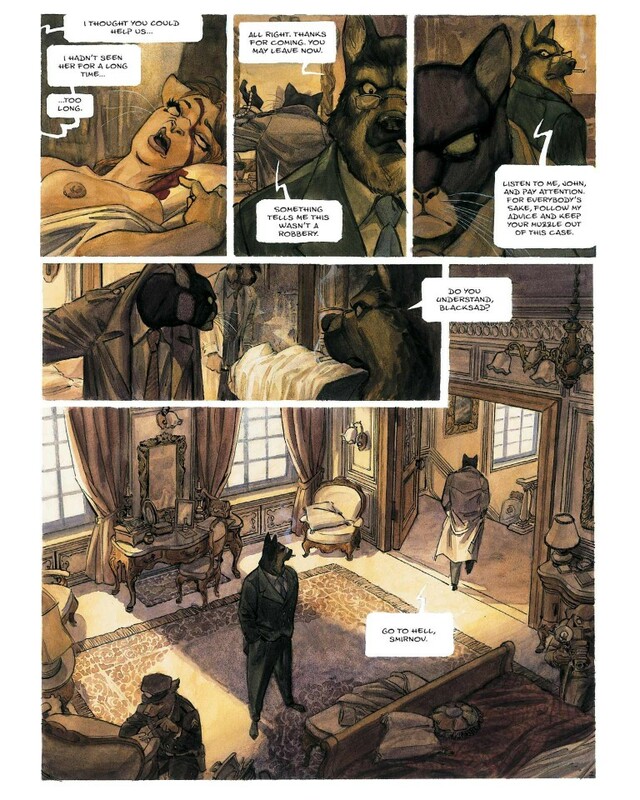 • This internationally acclaimed series has won nearly a dozen prestigious awards – including the Angoulême Comics Festival prizes for Best Series and Best Artwork – and is a three-time Eisner Award nominee.